In the mid-nineteenth century, the Harvard College Observatory began employing women as calculators, or “human computers,” to interpret the observations made via telescope by their male counterparts each night. At the outset this group included the wives, sisters, and daughters of the resident astronomers, but by the 1880s the female corps included graduates of the new women's colleges—Vassar, Wellesley, and Smith. As photography transformed the practice of astronomy, the ladies turned to studying the stars captured nightly on glass photographic plates. The “glass universe” of half a million plates that Harvard amassed in this period—thanks in part to the early financial support of another woman, Mrs. Anna Draper, whose late husband pioneered the technique of stellar photography—enabled the women to make extraordinary discoveries that attracted worldwide acclaim. They helped discern what stars were made of, divided the stars into meaningful categories for further research, and found a way to measure distances across space by starlight. Their ranks included Williamina Fleming, a Scottish woman originally hired as a maid who went on to identify ten novae and more than three hundred variable stars, Annie Jump Cannon, who designed a stellar classification system that was adopted by astronomers the world over and is still in use, and Dr. Cecilia Helena Payne-Gaposchkin, who in 1956 became the first ever woman professor of astronomy at Harvard—and Harvard’s first female department chair. Over the last couple of years, I have read a number of books about the contributions of women to significant scientific and mathematical accomplishments. The Rise of the Rocket Girls (the Jet Propulsion Lab), Hidden Figures (NASA), The Girls of Atomic City (the development of the atomic bomb), and Code Girls (WWII code breakers) have all worked hard to dispel the myth that women can't do math and science, and were never able to even try until very recently (well, that latter is true for the most part, especially depending on how you define 'recent'). Most, however, also show us a limited scope that the women were given for their intelligence and talent (Code Girls seems to be an exception, as the necessities of war led eventually to allowing the women to truly run things, as long as they didn't want equal standing with the men). 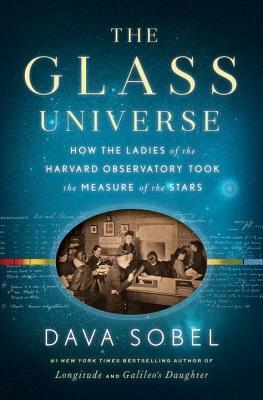 Sobel's Glass Universe fits this category of book, but stands out: she highlights a rare case where women were early and genuinely granted the right to be scientists in their own rights. They were not without their (largely externally-imposed) limitations, of course. The first generation or two of female astronomers at the Harvard Observatory couldn't hold academic posts (unsurprising: they couldn't attend Harvard as students, so why would the institution grant them an official title?). And in general, they were passed over when awards were being handed out. Only a few asserted themselves to the extent of actually operating the telescopes, which at the time involved climbing up and down ladders to make manual adjustments (work generally considered too hard for women to do; we won't go into the irony that many women did similar and harder work, known as "housework," on a regular basis). But Sobel also shows us a rare case of a leader in an institution who started out seeing women as a type of machine ("calculators," as those who did the complex calculations needed for many aspect of science were called in the years before the invention of the electronic calculator), but quickly came to recognize that they could and did make genuine discoveries. Edward Pickering was looking for careful, cheap workers (at that time women were never paid the same amount as men for equal work, as though, one of his employees pointed out, they didn't need to eat) in the late 1800s when he began to hire women. When they began to make discoveries on the glass photographic plates taken through the telescopes, he almost unbelievably recognized their abilities and allowed many of the women to work directly on the research, and. The story is both heartening and frustrating--as usual, the women met with far more obstacles to success and advancement than the men did, but it was nice to see that Pickering recognized their work and insisted on having it published and shared under their names. It is also in some ways an awkward story to tell. There is no single subject (though for much of the book I felt like it was as much about Pickering as about the women he mentored), and for that reason I think it at times lacks a good forward momentum as a story. At other times I got lost in the details of the science, which were often obscure to me (I don't necessarily consider that a bad thing. I learned things, and laid the groundwork to understand more in the future). I will admit I gave the lengthy appendices a quick skimming, but if one were reading the paper form of the book I think you could make better use of them as you go (reading the ebook, I didn't even realize they were there until I got there, thus once again confirming my sense that an e-reader is just not as good for non-fiction as paper is). Sobel is a good writer, and this was worth the effort I put into reading it. If you want to know that there was at least one scientist in the late 19th Century who recognized women as (almost) the intellectual equals of men, take a look. 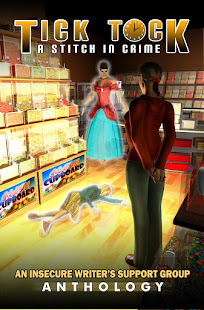 Full Disclosure: I borrowed an electronic copy of The Glass Universe from my library, and received nothing from the author or the publisher in exchange for my honest review. The opinions expressed are my own and those of no one else. I am disclosing this in accordance with the Federal Trade Commission's 16 CFR, Part 255: "Guides Concerning the Use of Endorsements and Testimonials in Advertising." Interesting. 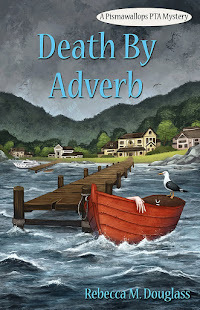 I like Dava Sobell; she usually writes good narratives. Here on the other side of the Pond, the action in astronomy was mostly happening up at the Jodrell Bank observatory in Cheshire, until it demonstrated its powers so much that Mullard Observatory in Cambridge was built. Jodrell Bank had women astronomers in the same way that Harvard did, and many were played out of their discoveries by the classic European academic trick of making the Professor in charge of the department first author on every publication. Many younger men got stuck like that too, but they usually came out better in the end. We're still talking twentieth century, though. I can't immediately call to mind any women mathematicians before the 1900s. I must catch up with my piles of non-fiction books! Yes, I was most astonished that Pickering didn't claim all the research as his own. Maybe it's because he didn't actually hold an academic post, either. The Observatory was independent until well into the 20th Century, so perhaps he could afford to be "generous" (I had to put that in quotes, since it's hardly generous to allow people credit for their own work). I've been on quite a kick lately, as look over my non-fiction books for the year! Part of that is because I really like reading history, but I realized that as a result I was reading a LOT of books by men about men. I wanted to read about the less obvious people who did great things.